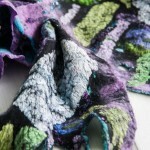 Kim Goodling’s love of fiber art began with a small flock of sheep, many years ago. 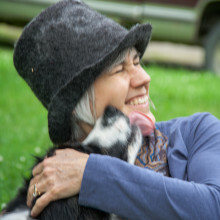 In 2014, Kim brought Vermont’s first flock of Gotland sheep home to her farm, Vermont Grand View Farm. 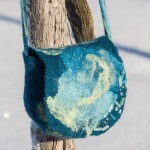 Kim has explored all forms of fiber art, but she is most fascinated by felting. 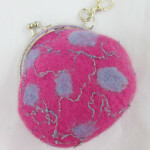 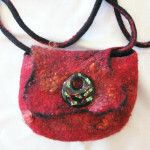 She enjoys creating felted garments and accessories, incorporating her Gotland wool when possible. 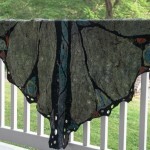 Kim invites over night guests to her farm to experience rural Vermont farm life and to take fiber art classes. 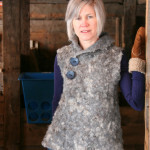 She shares her farm life on her blog, Living With Gotlands. 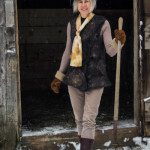 You can also find her on instagram @vtgrandviewfarm.